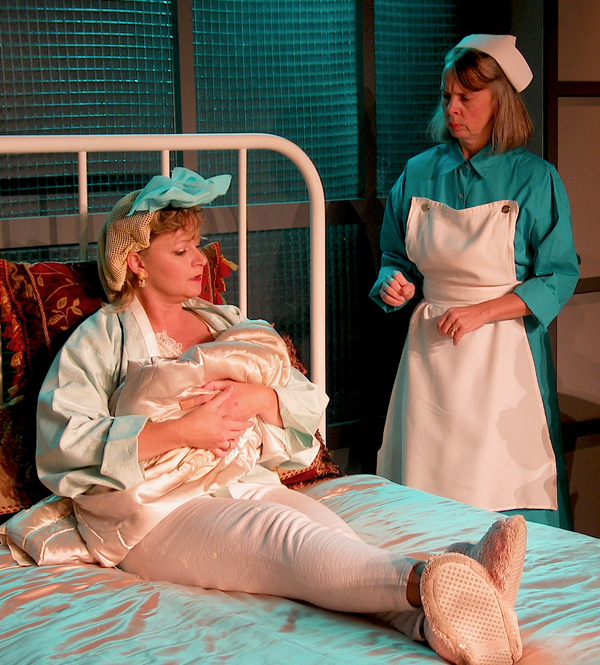 In October of 2005, “Rumors” Director Liz Mykietyn (center with Betsy Bates Left and Sara Bennett right) made her acting debut with the Providence Players as Edith Potter in 2005’s “The Women”. With the opening of “Rumors” just seven weeks away, marking our 10th season at the James Lee Community Center Theater, and Liz Mykietyn’s directorial debut with PPF, we plan on celebrating those ten years with occasional “throw back” looks at past PPF productions at James Lee. 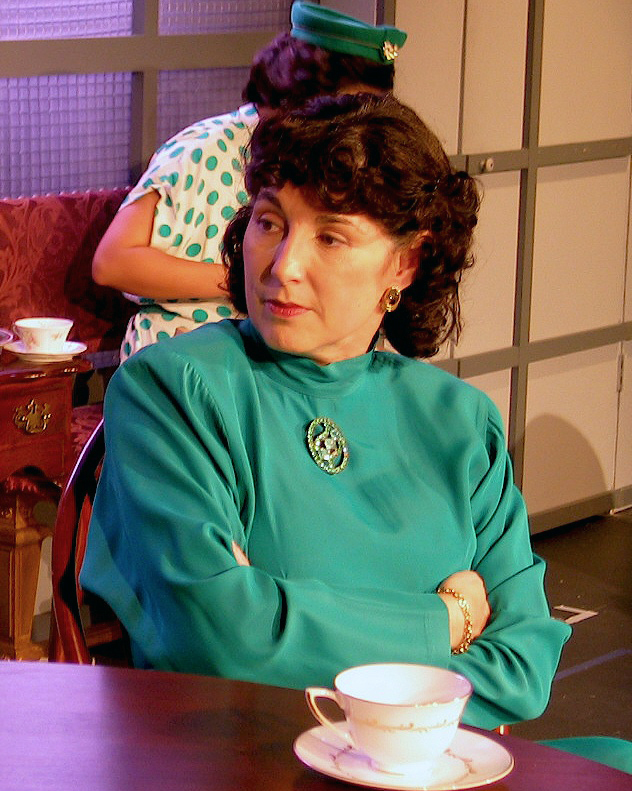 It seems only fitting to jump back to 2005 at James Lee, where we first got to know Liz as she brought audiences to stitches as the self absorbed and irreverent Edith Potter in the 1936 Clare Booth Luce comedy The Women. Liz’s PPF acting debut made ’em laugh in The Women and on stage in many other PPF favorites over the years, and she will make you laugh as our Director for Rumors. Tickets are already available online here. Barbara Gertzog directed the 2005 production of The Women that featured a cast of 35 beautiful and terrific women in Luce’s satirical comic masterpiece (her only play). Audiences loved The Women and its outstanding cast. The play was a visual and literary feast. It garnered our first Ruby Griffith award and a WATCH nomination for best costumes for the show’s costumers, Susan Devine and Donna Naybor. Tina Thronson played our lead in that production and as you look back over the cast and production team photos you will see many fine actresses who have graced the PPF stage over the years. Take a few minutes and browse our production pages for PPF’s award winning production of The Women…just click here or on the show’s cats eye logo below and you will be transported back to 2005. You will also find some campy PPF online and print memorabilia from those days. A lot has changed over the years but one thing remains constant: PPF’s dedication to bringing you entertaining, affordable, quality theater while building community through the theater arts. When your done browsing, why not pop by our Online Tickets page and order you tickets to Rumors – Opens May 30th at James Lee. Watch the website for more “throw back” looks at past PPF productions at James Lee as we celebrate 10 years at The James Lee Community Center Theater.